The issue over Grab's ride-sharing charges has taken another interesting turn. The Land Transportation Franchising and Regulatory Board (LTFRB) has just suspended the controversial P2.00 per minute rate for riders. Philstar reports that the government organization ordered the immediate suspension of the rate "effective until further order of the board." The LTFRB added that Grab's rates should be consistent with the board's order dated Dec. 27, 2016. Though the order doesn't state a specific per minute rate, it does indicate a P40 flag-down charge and an allowed extra charge of P10 to P14 per kilometer. The issue first began when Representative Jericho Nograles accused the Singapore-based company of illegally charging its riders. The LTFRB said that they were not informed of the P2.00 per minute rate, though Grab countered that they did indeed inform the board. However, Grab admitted that they did not inform the public about this charge, which began early June. The next hearing over these hidden charges is scheduled on May 29. During a press conference held yesterday to address riders' concerns, country manager Brian Cu said that the LTFRB was already informed of the P2.00 per minute charge on more than one occasion. "The P2.00 that was implied, or placed into the fare, is legal. The LTFRB has been made aware of this on multiple occasions, on a couple of occasions, through the TWG hearing, and during the e-mail correspondence showed on the screen," Cu told the media. The e-mail sent to the LTFRB Cu was referring to was a response to the agency's request for the company's price scheme. It mentions the platform's P2.00 "time-based pricing." However, Cu did acknowledge that riders were not informed of the P2.00 per minute charge via the app. He added that the company has since included the charge in all of the paltform's "comms" and thanked both the LTFRB and Congressman Jericho Nograles for bringing up the matter. "Now we've included the P2.00 in all the comms now so it's made clear. So we thank the LTFRB and Congressman Nograles for raising that and it allowed us to improve our service." 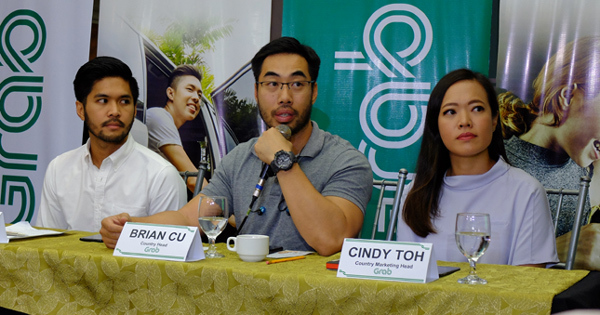 Cu also stressed that the per minute charge has allowed Grab to "lower the per kilometer from hitting the ceiling," and emphasized that the P2.00 went toward driver incentives and promos. "Adding a per minute component to the fares allowed us to make a more balanced pricing of fares rather than having a blunt tool lang [where] you're trying to compensate for time using a per kilometer rate. "It made some fares go up, it made some fares go down. On average, the fares were more fair for both sides. And this P2.00 did not go to Grab. This P2.00 went to the drivers. 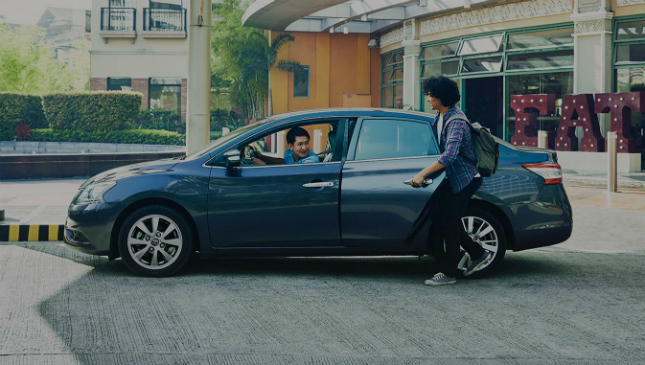 And what Grab earned from the P2.00 was reinvested into the business by way of incentives or promos for the passengers and the riders." During a radio interview with DZRH earlier today, Department of Transportation (DOTr) head Arthur Tugade assured listeners that Grab would answer for the P2.00 per minute charge. "Definitely po hindi ito pababayaan ng gobyerno. Mananagot po ang Grab," he said, adding that the LTFRB and DOTr would review the platform's surge pricing as well.